100 Days on a Fulbright: Day 21: Blender! Finally some progress in Blender. A quickly made, simple mockup of the Speicherstadt, Hamburg. 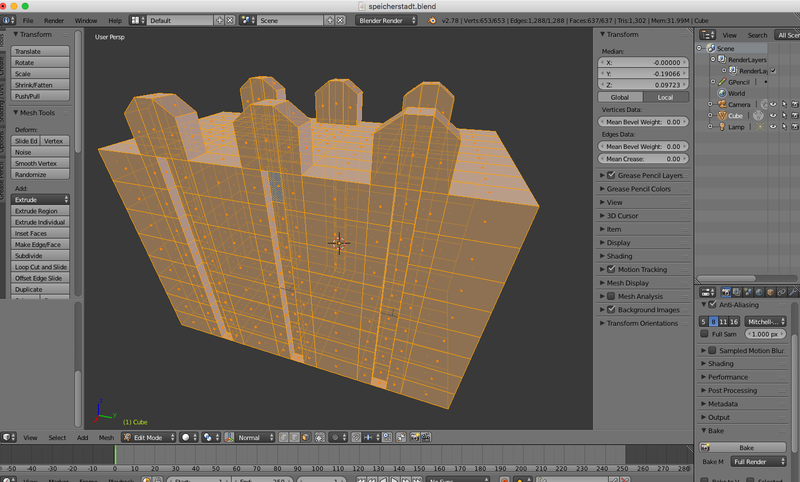 Comments Off on 100 Days on a Fulbright: Day 21: Blender!